Uganda Community in Greater Manchester (UCOMM) aims to promote the wellbeing of people of Black and Minority Ethnic origin with particular emphasis on those of African heritage, be it by way of promoting health or improved social integration within the wider multicultural community. It strives to do this by relieving hardship to promote good health and advance education for all its beneficiaries. UCOMM received funding for their Girl Child project, which sees vulnerable young girls teamed up with a mentor, which they refer to as a ‘Big Sister’. These mentors help the young girls build confidence and talk through any issues that they may be facing. This is arranged in monthly sessions and workshops for young girls aged 11 to 25 years old. The young ladies open up about their future aspirations with particular emphasis on accessing the education system in UK effectively, they talk about their achievements and challenges, and are directed in a manner which maximises their potential. 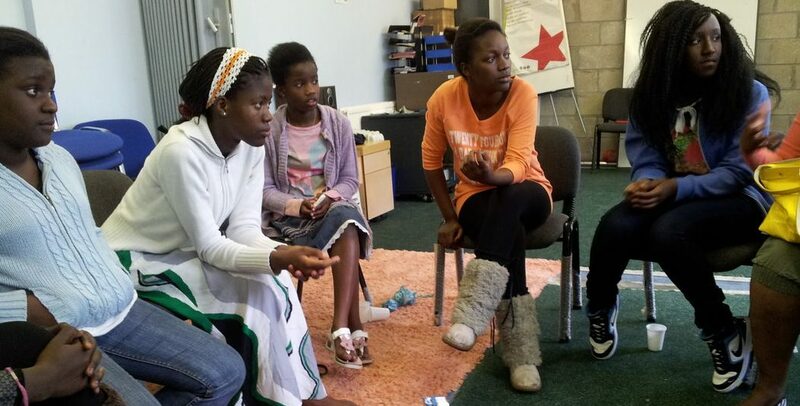 The young girls are also encouraged to open up about issues they are afraid to discuss with their parents or peers, especially issues relating to abuse, and how to resolve these difficult and sensitive situations. Rehema Kawooya, UCOMM’s Chairperson, adds: “The Big Sisters were able to offer solutions or just a shoulder to cry on for the girls. One girl, aged 16, was told she was not good enough at school and wanted to drop out, much to the annoyance of her parents. This resulted in much conflict and shouting at home. Through the group sessions she was able to be nurtured and her confidence built up and she was able to pass her exams and joined university in September 2016. Other parents have told us that they didn’t know know how to talk to their girls but, since the sessions, they have a better, calmer relationship with them.